Blog Home > Gardening > What Nutrients Should you use for a Healthy Lawn? Grass is an incredibly hardy group of plants that will thrive in a wide variety of habitats, which is why it is so popular for lawns. If you are growing a lawn from seed preparing the ground properly and adding nutrients to the soil before you sow will help the grass seed to grow more readily and soon form a healthy, happy lawn. The levels of nutrients for a healthy lawn are slightly different to the nutrients required for healthy flowers or vegetables. You want to promote good strong green growth and a robust root system. If you are going to be growing a lawn from seed you will find it helpful before you sow grass seed to take a soil sample. You can readily test it yourself using a DIY soil testing kit to find out what type of soil you have. You want to know the or acidity or PH value, of the soil plus the levels of Nitrogen (N), Phosphorus (P) and Potassium (K) in your soil. 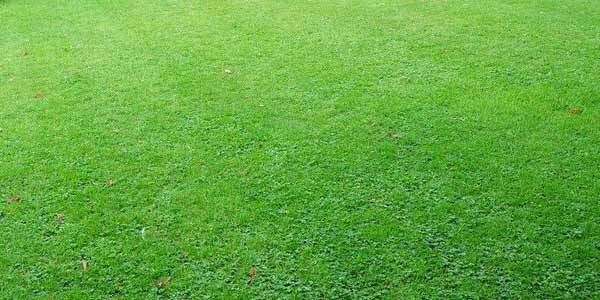 Grass grows best in very slightly acidic soils and the best PH level is 6-7 for grass. PH seven is neutral. Any reading below that is acidic and any reading higher than 7 is alkaline. The best and cheapest way to increase acidity in soil for grass is to add sulphur. The organisms in soil readily convert sulphur into sulphuric acid, although it can take a while and the process is quicker in warmer months. Sulphur chips are the cheapest method of adding acidy to the soil but because the more finely ground the sulphur the more quickly the bacteria can convert it sulphur dust is a quicker solution. Add the sulphur prior to cultivation by rotivating, digging or hoeing and before you sow, so it has plenty of time to take effect. Sprinkle the sulphur over the soil to be treated at the rate required, using gloves, and if using finely ground sulphur use goggles and dust-mask too. Make sure you do this in still conditions because the dust is very fine and drifts easily. Soils that are predominately clay or have high levels of organic matter will need more sulphur to change the acidity. While it can take years and lots of work to change soil acidity to suit the deep roots of trees and shrubs, grass roots are relatively shallow and so you will only need to change the acidity of the top few inches of soil to be effective. If your soil is too acidic you will need to increase the PH value of your soil, or make it more alkaline. The easiest way to do this is by adding lime to soil that’s acidic. 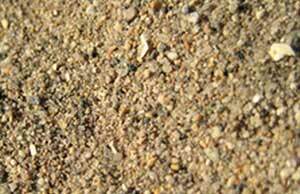 Ground limestone is the most commonly used, and is also known as ‘garden lime’. Other common liming materials include wood ash, calcified seaweed, ground chalk and ‘dolomitic lime’ which is ground magnesian limestone. It is possible to use hydrated lime also called ‘builders lime’ but it is less pleasant to work with and can easily be over-applied. As in making soil more acidic above, it is easiest to apply the lime used to increase alkalinity to the soil before cultivation and sowing. If you are using hydrated lime wear gloves and goggles because it can be very irritating to the skin. Once you have tested your soil you can make adjustments to the nutrients required, but first you need to know the optimum levels of Nitrogen, Phosphorus and Potassium in soil for lawns. The presence of these macronutrients are given in parts per million as a concentration of the element or ppm. Nitrogen ppm should be in the 20’s. This should be around 70-100 pounds per acre. Phosphorus ppm should be between 40 and 100. These figures currently in your soil will be confirmed using your soil testing kit, and you can then choose fertilisers which are higher in one or other of the nutrients to help boost grass growth by balancing the elements in the soil before you sow your lawn. A well drained soil with the right balance of nutrients and enough organic matter to retain moisture to nourish the roots and your grass seed will give you the best condition for your lawn. If you make sure your grass seed has the best start in life it will produce a healthy and luxuriant lawn. 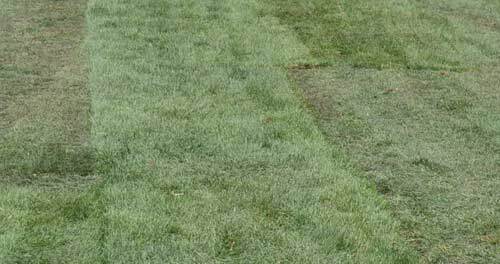 There are a few conditions which make it harder for lawns to succeed so by improving the soil before you sow your lawn you will cut out problems later in the life of your lawn. Add humus and other organic matter such as well-rotted compost, leaf mould or manure to the soil before sowing will open up the texture and improve drainage in heavy soils. 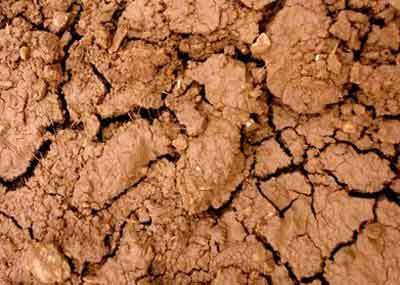 You can also add sand or sandy loam top soil to clay soils to improve texture and drainage. Make sure you use river sand for this, not builder’s sand or costal sand, otherwise you will introduce salts and other chemicals to the soil which are not beneficial to grass. As above, adding humus and other organic matter to sandy or nutrient poor soil will improve the texture of the soil and will also retain some moisture where soils are sandy or light, preventing nutrients from being washed down through the soil. Where soil is not very deep because the garden is on a new building site or has not been cultivated for long, you can add a loam top soil to the site to a depth of about 100 cm (4 inches), which will allow the grass to build a good root system. It is also important to make sure that you add fertiliser to the soil no matter what other improvements you are making to soil conditions (see ‘nutrient levels for lawns’ above). Good luck with your new lawn.